Despite continued tuition increases this school year, the Millsaps Business Office doesn’t have a new operating budget. Currently, the Business Office is operating using last year’s budget, causing some to be curious as to where current funds are being distributed. Additionally, due to a complete overhaul of the Business Office’s job system, some campus organizations, such as the yearbook, are concerned about being able to be published. On August 19, Millsaps College welcomed 251 freshmen students onto the college grounds. Three days later these students were joined by returning sophomores, juniors and seniors, as well as Millsaps professors and administrators, as the current school year began. Though tuition and enrollment for the 2016-2017 school year both increased, the school is currently operating without a new budget. Instead, the Business Office is using last year’s budget as a guide, leading to concerns amongst students who work on-campus jobs and administrators who work to fill those jobs. In other words, expect the tuition hikes to continue for, at least, the next four years. Whitney Emrich, Controller of the Business Office, said the university needs more discipline and structure around their financials. Hungerford explained why it was necessary to change some of the ways the Millsaps’ student job system originally functioned. “One of the things the college never had was a clear picture about how many college jobs we really had, who was working those jobs, what rates of pay we were paying them and when the start and end times [of the jobs] were,” Hungerford said. In addition to being compliant with federal guidelines regarding the number of students jobs and who works those jobs, new regulations added by the Affordable Care Act make it so that students can work no more than 30 hours a week without changing the classification of their jobs from part-time to fulltime. According to Hungerford, Millsaps’ job system changes are more so focused on ordering the fairly chaotic system of old and assuring that Millsaps does not violate any rules. The new college job process was influenced both by federal guidelines and by a desire to give students real-world experience in searching for jobs. In previous years, all students had to do to receive an on-campus job was to apply with an advisor and be accepted that way, now the person who is sponsoring or supervising the job must put the job on the College Central Network, which includes a job description and a budget, allowing for more job visibility. After the job is added to the College Central Network, students can log on to the site, see which jobs are available and apply for the jobs. “At the end of the day, the objectives are a, understand where all the money is going, and b, try to maximize our federal work study dollars, because we’re trying to match up federal work study eligible students with federal work study eligible jobs, and that way we can maximize those jobs,” Hungerford said. By matching federal work study eligible students to federal work study eligible jobs, Millsaps maximizes the federal funds received, allowing Millsaps to not have to pay as much money towards student jobs. “When a federal work study eligible individual works federal work study, the government takes 75 percent of those wages and the college only pays 25 percent. [If we can match as many students to those jobs as possible], then we have more budgeted funds for everybody else to work and to provide jobs for the rest of the college”, Hungerford said. This change has made it difficult for some student organizations on campus to function as smoothly as they had in previous years. Millsaps’ yearbook, The Bobashela, is a glaring example of the downsides of this change. Stan Magee, Director of Student Publications, has faced two major hurdles this year in getting both student and advisor jobs approved by the Business Office. For over 15 years, Magee has volunteered as advisor for the Bobashela in addition to working as the overall administrator for all three of Millsaps’ recognized publications: The Purple and White, the campus newspaper; The Stylus, the campus literary magazine; and, The Bobashela, the yearbook. In June, Magee requested funding for a yearbook advisor. Currently, that position remains unfilled. At a time when the yearbook should be documenting sporting and social events, instead, it has no student editors, no staffers and no advisor. Magee fears that this will be the first year in over 100 years that Millsaps will not have a yearbook. Hungerford said that the publications board asked for a brand new position, by asking for a yearbook advisor, and said his office has to go through the whole budget process to look at available funds. The college is currently functioning by using last year’s budget as a guide, but asking campus organizations how they are using their budgets and where the money is going. After reaching a high enrollment of over 1000 students in 2006, Millsaps College’s student enrollment steadily decreased. However, even while enrollment was depleting, the school still maintained overhead and programming expenses for a school with an enrollment of over 1000 students. “What that means, is we’re pulling in less money than we have with the expenses and we’re trying to use outside sources and donations and other monies to make that up,” Hungerford says. In most institutions of higher learning, about 90 percent of operations are covered by tuition and fees, while the other ten percent is covered by outside donations and the school’s endowment. 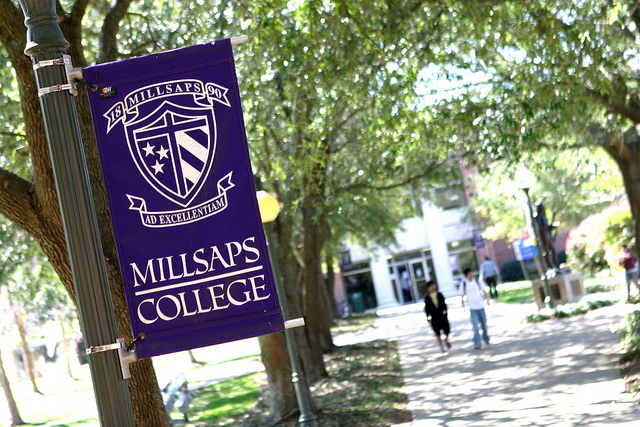 In recent years, because of lower enrollment, Millsaps has been operating primarily by using the endowment and donations. With the five year plan and steadily improving enrollment, the business office hopes to begin meeting overhead and enrollment. “[When that happens], we’d be able to maintain and enhance the programming and the programs that we can provide,” Hungerford says.